Why do so many otherwise rational individuals make irrational decisions when it comes to money? 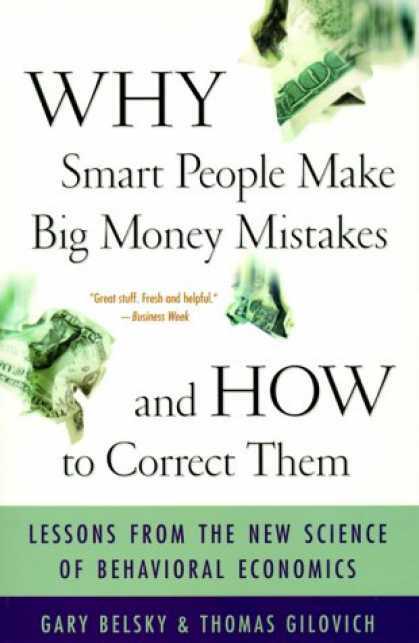 Financial journalist Gary Belsky and Cornell University psychology professor Thomas Gilovich contend the answers can be found--and the deficiencies remedied--with help from a relatively new science called behavioral economics. Still largely unknown outside academic circles, the field can be traced to research on the impact of rewards and punishments on human judgment and decision- making that first were undertaken at Jerusalem's Hebrew University some 30 years ago.